A new series of toothpastes and mouthwashes "Triple effect" is an excellent choice for the daily prevention of tooth decay, maintaince of healthy teeth and gums. It strengthens gums thanks to the patented formula of the decoction of herbs. 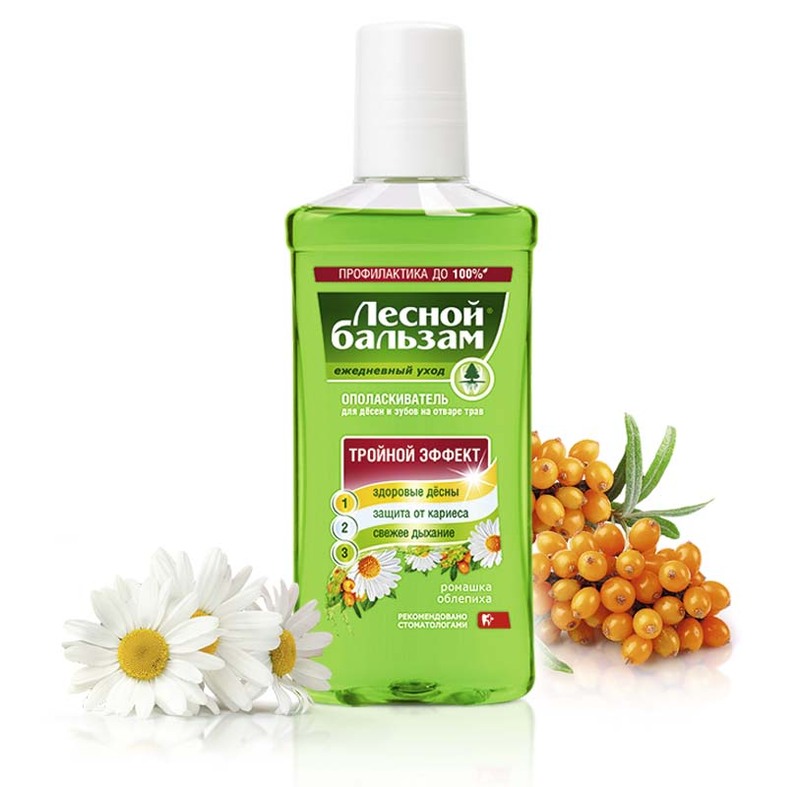 The formula is enhanced with three phyto-extracts: birch juice, aloe juice and chamomile extract. It protects against cavities and strengthens the enamel due to the natural mineral complex. It helps maintain fresh breath and protects against plaque formation throughout the day due to the mint oil.